The first thing you notice when you hit your 40s is that you thought you would feel “older”—at least, that’s what I thought. I’m almost halfway through this decade, yet I still feel, and sometimes act, like I’m in my 20s. However, I have noticed that it takes longer to fully recover from high-intensity workouts. If I lose a night of sleep, then I’m absolutely no good the next day. And if I deviate from my regular (mostly) healthy diet for more than one or two meals, I feel it almost immediately. In this decade, you’re relatively ensconced in your career and family life. While there will be unforeseen challenges, for the most part, you have established a consistent routine. If you find it hard to make time for regular workouts, consider ways that you can add small bouts of movement to your routine by biking to work, taking the stairs, or identifying various strategies that can help you increase your daily level of physical activity. Change your exercise habits so you provide fresh stimulus to your body and continue seeing results. Continue regular strength-training and cardiorespiratory exercise, but consider incorporating some high-intensity exercise, like a group cycling, sports conditioning or a kettlebell class. High-intensity training can help promote muscle-building hormones while increasing caloric expenditure, both of which are important at this age. Explosive exercises also can help improve muscle elasticity, which is reduced during the aging process. Regular strength- training exercises make skeletal muscle tissue strong but don’t challenge the elastic connective tissue surrounding it. Adding exercises like kettlebell swings and plyometric jumps help improve tissue elasticity. Yoga can help manage stress and improve your overall flexibility, both of which provide significant health benefits, so if you’re not already doing it, you should consider adding it to your routine. Gone are the days of grabbing whatever for dinner and ordering Friday night pizza because this is when you really start feeling the effects of unhealthy food choices. The good news is that you are probably earning more money, so if you’re having a hard time making smart nutrition choices, you may want to consider subscribing to a service that provides fresh vegetables along with recipes or prepackaged, portion-controlled meals. You won’t need me to tell you to get more sleep because this is when you really start feeling the effects of lack of sleep. Review your sleep hygiene, and try to remove light sources like TVs and mobile devices from your bedroom because the light waves can actually wake you up as you’re trying to drift off to slumberland. OK, up to this point, I’ve been able to write from personal experience, but now I’m going to be going on what I’ve learned from clients, friends, relatives and scientific literature. Once you hit your 50s, regular exercise is essential for maintaining good health. This is the age when conditions like high cholesterol, heart disease or arthritis could make themselves known. If you experience any chronic medical conditions, make sure you work with your health-care provider to identify the most appropriate types of exercise for your needs. That said, continue doing your favorite activities as long as they don’t cause you any severe physical discomfort. Hopefully, your 50s is also when you will have a little more free time and disposable income to take vacations and visit parts of the world you’ve always wanted to experience. I’ve helped clients in this age bracket train for vacations like hiking to Machu Picchu, do a cycling tour across France, kayaking in New Zealand and skiing in Switzerland. If you have the luxury to enjoy these options, then picking active vacations can be one way to help keep you engaged and motivated in your exercise program. Even if you cannot afford exotic destinations, you can start cycling and hiking by exploring the parks and trails in your area. Do anything that you enjoy and can do on a frequent basis. In this decade, changing exercise is important not only to keep your muscles working differently but also to engage your brain. Make sure to include at least one or two high-intensity workouts a week because exercise that elevates levels of growth hormone also can elevate levels of brain-derived neurotrophic factor (BDNF), the neurotransmitter responsible for producing new brain cells and improving cognitive function. Learning new sports or activities can be another way to develop new neural pathways in your brain. This is a great time to pick up a new active hobby like tennis, golf or martial arts because learning new movements stimulates brain development as well as physical development. Check with your medical provider on this one. You will want to avoid foods that can elevate cholesterol or affect any medications you may be taking to manage a health condition. If your kids have left the house, you can enjoy nice dinners out or, even better, take cooking lessons so you can prepare nice dinners in and enjoy the company of your spouse sans kids. Yup, sleep is still important, especially after you exercise. In this decade, you may experience sleep disruptions like waking up in the middle of night or not being able to get to sleep in the first place. If that’s the case, make sure to mention this to your health-care provider. Pete McCall is a personal trainer and fitness educator in San Diego, California. 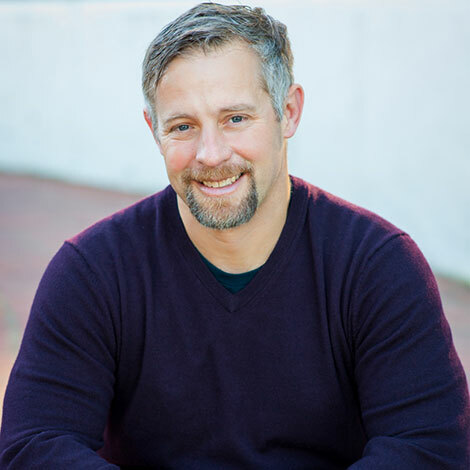 He holds a master’s degree in exercise science and health promotion from California University of Pennsylvania, and is a Fellow in Applied Functional Science with the Gray Institute in Michigan. In addition, he is a Certified Personal Trainer (CPT) with ACE and NASM; a NSCA-Certified CSCS; and holds the IFS and PES advanced specializations from NASM. McCall’s personal philosophy is that fitness is "having the ability to do what you want to do, when you want to do it." His latest book, "Smarter Workouts: The Science of Exercise Made Simple," releases this December.